Let's face it, at their first birthday party, children aren't an integral part of the party planning. When coming up with unique 1st birthday party themes, parents can run with their imaginations. And at such a young age, children have very few interests and opinions about the theme for their party. They do, however, have an interest in eating, napping, and enjoying a few of the goodies at the party. When it comes to planning a first birthday party, there are countless ideas and themes to select. The most unique 1st birthday party themes serve as a platform for future parties for upcoming years. And of course, they'll serve as precious memories for parents and extended family members as well. So, get the planning going! 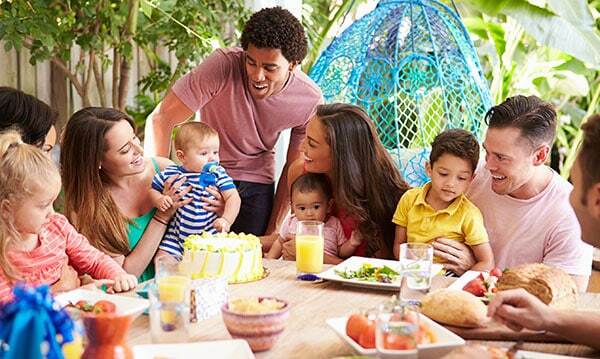 Choose the right decorations, birthday cake, balloons, and fun party games for a day to remember. Planning a 1st birthday party is stressful. 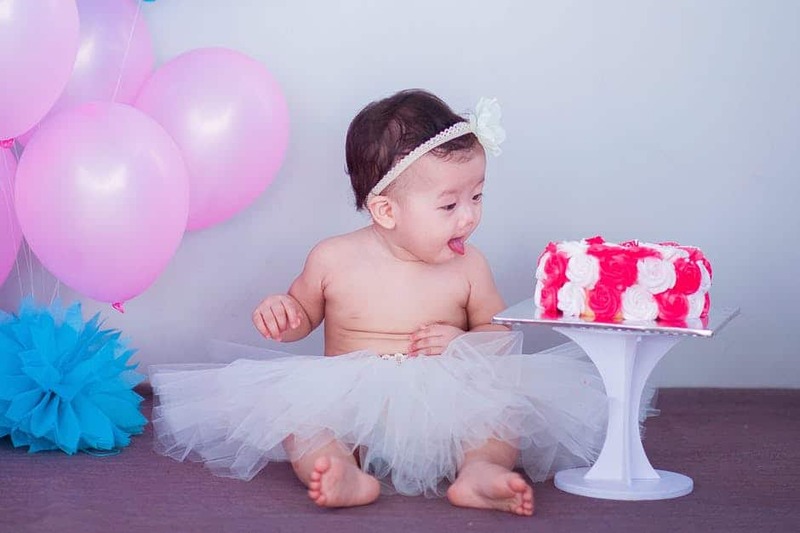 The guest list, menu, and choosing the perfect unique 1st birthday party themes are only a few of the many aspects parents are juggling with when planning the party. Luckily, there are several great party favors, decorations, and venues to help make the party planning a little easier on parents. Parents will want to plan everything correctly to ensure a successful party. However, they need to go easy on themselves. Your 1-year-old infant isn't likely to remember the party at all. Many will spend a great deal of it napping. However, since you'll likely invite friends with small children and extended family members, you do want to plan a memorable 1st birthday. Even a 1-year-old child with the shortest attention span is going to react positively to a Dr. Seuss party theme. This theme is one of the most unique 1st birthday party themes parents could choose when doing the party planning. Renting a photo booth is also a great idea for a large party with many other children attending. It can add to the allure of the whimsical party theme and allows guests to interact and commemorate the day. Plus, it's a great way to have several photos to remember the creative 1st birthday party. 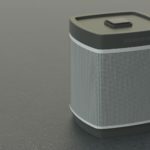 And, it will also give parents ideas for future parties they host for their kids. 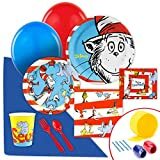 Add matching tableware, favors, accessories, or a party kit bundle to complete your Dr. Seuss birthday party. Features classic Dr. Seuss characters such as Cat in the Hat, Grinch, Horton, Sam I Am, Lorax, Thing 1, and Thing 2. Don't limit the creativity to the decorations; there are several fun ideas to consider when preparing the menu. Cupcakes with toppers, Thing One and Thing Two cupcakes, and One Fish Two Fish Jello cups are some ideas to start. Green eggs, green ham, and a cheese tray are good ideas for the adult guests to munch on. Guests at this party likely know the foods are just as creative as the decorations and party theme. So, as a parent planning the menu, keep it light and fun. And, let guests know what the menu options are in the Dr. Seuss invitations. This way they'll know what to expect upon arrival. If there are specific costumes or attire hosts want guests to wear, also include this in the invitations. Encourage parents to dress their kids up as a Dr. Seuss character. Make it fun for the kids and the parents alike. Race cars are one of the best and easiest ideas to prepare when planning a party for a 1-year-old. For parents, there are several great decorations and party foods to incorporate to ensure the party is a success. 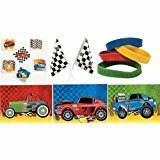 Race car and race-theme cups, plates, and banners. There are countless products available when choosing race car decorations for a birthday party. And, parents who have time and want to be creative, can make their following online tutorials. Don't stop with the decorations for the party, go all out and have guests dress up as well. Driver uniforms, helmets, and other fun ideas will help liven up the party. Adults and children will enjoy the fun games and designs that party hosts put into the festivities. A race car party also needs race car inspired food ideas as well. Get creative with labels. Add fun titles to the sodas like antifreeze or motor oil, to blend into the theme. If plenty of kids are present, keep the food options simple for them and choose finger foods if possible. Chips, dip, cupcakes, and cookies with race flags or other decorations, are sure to elicit excitement from guests. For adult guests, you may want to add a big party sub. And a cake in the shape of a tire is a simple idea that all ages will love. Or, choose one with a helmet topper and race flag as the centerpiece for the food table. Everyone loves Disney princesses and princes. Even a 1-year-old may show some interest in the bright, colorful animation and catchy tunes in most Disney movies. This party idea is great when choosing unique 1st birthday party themes when there will be children of all ages attending. Disney appeals to most kids under 12, and even teens and adults. And who doesn't love Mickey and Minnie Mouse? Princess and prince centerpieces, or a Disney-inspired centerpiece for tables. Tablecloth with the most beloved Disney characters. 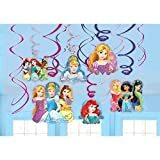 Parents will quickly find there are thousands of kits available for party supplies for a Disney party. Finding the right decorations depends on the direction parents choose to take when planning the party. There are many great food ideas for the Disney party as well. Character donuts with Mickey and Minnie Mouse Ears or a Pluto design will stand out. Pretzels with an orange and black stripe design can mimic a favorite character from Winnie the Pooh. Or, choose cookies designs from the film “Alice in Wonderland.” There are many great options when planning a Disney party. And, there are several memorable Disney movies and characters to choose from. No matter which of these parents choose as the party theme, work the decorations and food revolving around it. Just pick a theme, and go with it. 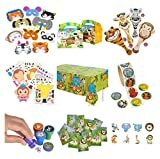 A zoo party theme is another fun option for parents looking for unique 1st birthday party themes for their child. This party can take place outdoors so that parents can get even more creative in their planning. Paper cuts and plates with tigers, lions, monkeys, and other favorite zoo animals. Have a creative station for the kids to play as well. Make a craft area for them to design their zoo theme masks. Animal bounce houses, slides, and outdoor games will guarantee a fun time for the kids in attendance, too. The menu for the party requires a little creativity. If parents choose a specific animal, they can make foods revolving around that zoo animal. Some simple ideas include animal crackers and a popcorn concession stand. The cake might have giraffes, monkeys, and elephants made of fondant, covering a green savannah. For drinks, monkey punch for the kids and a classic tiger's blood cocktail for adults will liven things up. Sodas, water, and juice are also some simple ideas that all guests will enjoy. 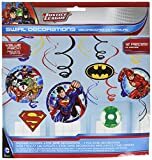 Today, superheroes are possibly one of the most popular unique 1st birthday party themes. And, they're not just for children! Adults have great costume parties revolving around these characters as well. For hosts considering this theme, there are several great ideas to consider when planning for the festivities. There are many hit superhero films in theaters today. That's why it is such a favorite theme for party planners hosting a party. Both classic characters and new characters will make for an excellent backdrop when choosing the decorations for the party. Parents might want to have an outdoor setup for this party theme. Having a play area or bounce house is also an excellent idea for the party. It is a simple way to keep the kids active, and you know they're having fun. It's also a great way to further incorporate the central party theme into the festivities. Tablecloths and chair liners with a logo/emblem of the superhero. Parents can also make their own DIY party favors and decorations. Balloon arches at the doorway to greet guests or garlands with different character faces are a couple of easy projects. 6 swirls, 3 swirls w/ paper cutouts: 7" and 3 swirls w/ paper cutouts: 5"
A child's birthday party will likely involve many children and guests. When choosing foods for the party, make sure the foods are appropriate for guests' ages. Cupcakes and cookies with “S-logo” for Superman or a print of a character are fun options. Mint Oreo Hulk cookies are also a creative idea. A Captain America shield cake or platter offers a great backdrop for the food options. Sandwiches, wings, and finger foods for adults are also some simple ideas party hosts can add to the menu. Also, you can't go wrong with chips and dip, for both parents and children in attendance. Doing this eliminates the need to spend countless hours in the kitchen prepping fussy decorative finger foods for small children. Parents may choose to dress their one-year-old in the costume of the superhero that features in their party them. Encourage young guests to dress up as well when sending out invitations. Parents can also dress up to add to the allure of the festivities as well. This will make the party memorable for everyone who is in attendance. It also helps spark up a conversation between guests who might not know one another when attending the party. 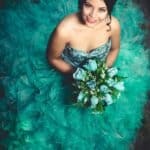 So What're The Most Unique 1st Birthday Party Themes for Parents to Host? At their first party, kids aren't going to remember much. So, as the party planner, host, and loving parents, make sure to snap plenty of photos! Regardless of the unique 1st birthday party themes you go with, there's plenty to consider when planning. Parents want to consider the right decorations, party foods, and something fun to keep older kids amused. They may also need to clear room for infants and toddlers to nap. Superheroes, princesses, animals, or any whimsical celebration are great ways to celebrate your child. It's up to you which theme you believe to be most appropriate for your child when preparing for the date. And best of all, you can choose the theme you like best for the first birthday. Remember, this may serve as the baseline for parties you'll plan for your kids as they get older. Therefore, it's essential to plan accordingly and do something manageable. Life with a 1-year-old is pretty hectic, and other parents will understand the stress. Focus on creating a fun, memorable event, but don't feel you have to make everything perfect. The more time parents take to plan and prepare for the celebratory day, the more relaxed and fun it will be for you. After all, your child won't remember it at all.